LOL I just read this whole thread and I've got tears in my eyes from laughing! That jewelled Aurora makes me think of those creepy anatomical models in dr offices that show skulls with the skin removed and just the eyeballs and lips showing! Are words even required to explain these pins' mishaps? 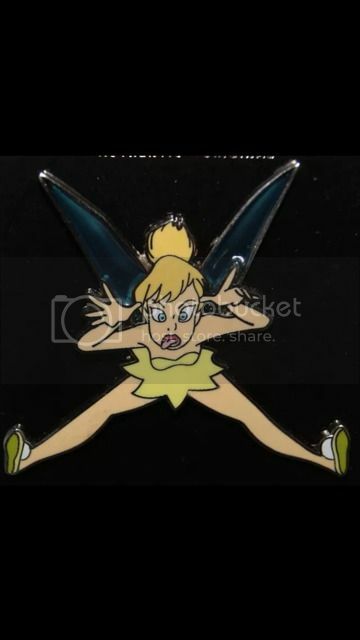 LOL, the more I look at this pin, the worse it gets. The jewel/brooch on the front actually looks like they chopped of Jessica's -or any female character's- head and we're left staring at the spinal column. I can't remember is these pins have been posted, I apologize if these are repeats. Every time I see it, I can hear a little kid asking "Mommy... is that where bunnies come from?" Or this one. 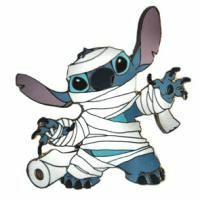 Stitch saying "Yeah, I wiped". The anatomy is kind of confusing! Edit: Looking at it again, this definitely belongs in this thread. OK, here is one that is just wrong. I mean, I know Lady Tremaine is a villain, but cooking your trusted pet for Thanksgiving?? Too much!! I've just spent the last 45 minutes revisiting this thread, laughing so hard I not only started crying but my family looked at me like I lost my mind. Thank you so much for bringing it back; I'd forgotten how absolutely brilliant it is. I'm looking forward to seeing new delightfully wrong pins and reading the hilarious commentary that accompanies the submissions. 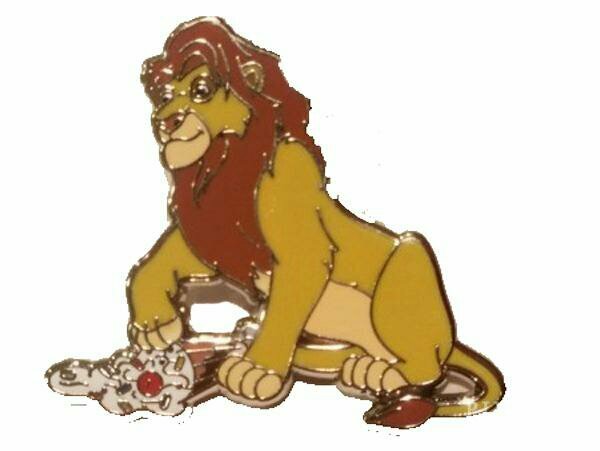 So I can't post pics yet but the new simba ptd from 2016. What's up with his back foot? Oh, um, wow. Once seen, it cannot be unseen! See above comment, but in order to understand,you must let your mind descend through the gutter into the sewers. Do you seen it now (and maybe wish you didn't)?